In compiling the news coverage and reactions to the Marmorkrebs genome sequence (which is still trickling in), I’ve noticed a common reaction. The story describes Marmorkrebs as an invasive, outlines the problem, and someone shows up in the comments saying something like, “Mmmm. Gumbo!” or “Get the melted butter ready,” or something like that. Jokes like that show pretty clearly that people think invasive crayfish are a joke, and nothing to worry about. And as much as I love the Non Sequiter cartoon about Marmorkrebs, it also uses the problem for comedy. This attitude is perhaps more understandable in China, given that “Chinese food” in China means “crayfish” more than General Tso’s chicken. Louisiana red swamp crayfish are the most popular restaurant dish, and that makes for a $22 billion (yes, with a “B”) market. 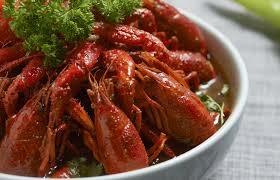 Similarly, not everyone wants to eat crayfish. My understanding that in some places, suggesting that people eat crayfish goes over about as well as suggesting people in the United States eat cockroaches. (C)omplete eradication of lionfish through fishing is unlikely, and substantial reduction of adult abundance will require a long-term commitment and may be feasible only in small, localized areas where annual exploitation can be intense over multiple consecutive years. While removal efforts are effective at reducing the local number of lionfish, recruitment from unfished locations, such as those too deep for recreational diving and at dive sites that are difficult to access, will continuously offset the effects of removal efforts. Still, some are continuing to investigate this for lionfish (Chapman et al. 2016). Indeed, creating commerical fisheries for aquatic invasives probably increases the problems, since you now have incentives to perform even more introductions (Nuñez and colleagues, 2012; Pasko and Goldberg 2014), even through the track record is poor. Establishing commericial fisheries for crayfish was one of the main reason North American species were introduced in many European countries decades ago (e.g., Sweden), and they have since realized that they are causing far more problems than they made money. If we are going to stop introductions of non-native crayfish, we are going to have to convince people that the problem is serious. Jokes about food show they aren’t there yet. Of over a hundred news articles, blog posts, and other miscellaneous things I have seen on the Internet about Marmorkrebs since the genome paper came out, this Non Sequiter comic by Wiley may be my favourite of all of them. And that includes articles that quoted me or used my Marmrorkrebs picture. Hat tip to James Murray.